This seemed like it was merely a case of human food fed to children in an inhuman way until I spoke to a colleague who grew up visiting her family’s farm in Kentucky. She said that on the farm pigs were fed with a mushy mixture of cornmeal, milk and table scraps. In honor of the discomfort food eaten by our ancestors: here’s a taste of time we should not forget. Be sure to add your tears. Let the water and salt dissolve together. Add the milk and bring to a boil. In small amounts, add the cornmeal until it is completely incorporated into the liquid mixture, turn down the heat and cook for at least a half an hour. When the mush is near its end, add the leftovers. Eat with an oyster shell. 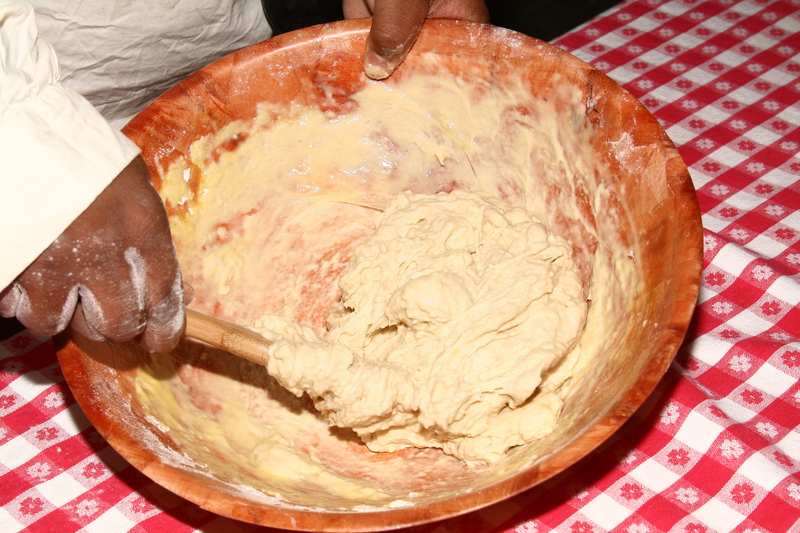 The legend is that enslaved people baked hoecakes on a hoe in the fields for their midday meal. Elizabeth Lea, a cookbook author from Montgomery County in the mid-19th century has several corn cake recipes, one of which she called a “Virginia hoe cake.” Indeed, hoecake was the hardtack, the matzah, of enslaved Blacks for several centuries. Some Maryland hoecakes were made over a griddle in the hearth (also known as a hoe), others were baked on a “bannock” board placed facing the fire. Although hoecake is associated with enslaved people, George Washington’s favorite breakfast was hoecakes and honey. 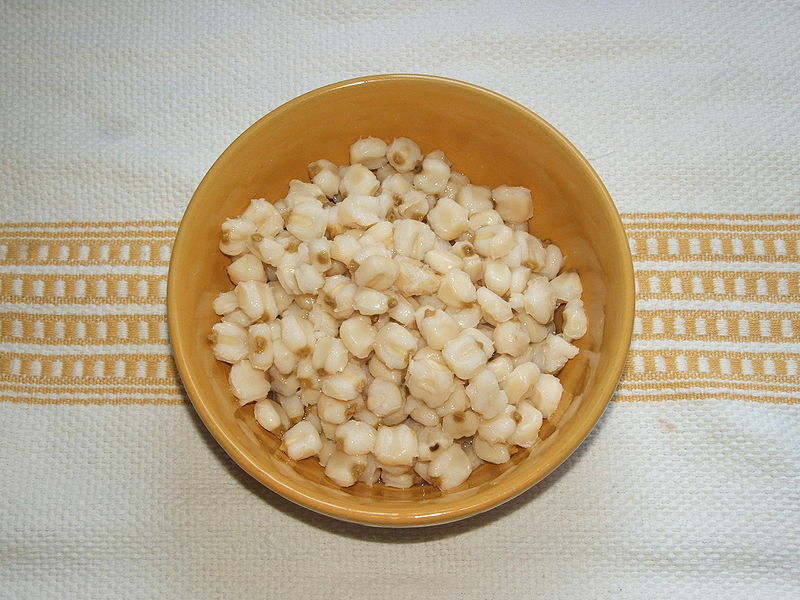 Hominy, another staple plantation food. As a general rule the slaves did not come to their quarters to take their meals, but took their ash-cake (called thus because baked in the ashes) and piece of pork, or their salt herrings, where they were at work. The tulip poplar, Lirodendroan tulipifera, was a very important tree to enslaved Africans. Its trunk was good for canoes, its height and stature must have reminded them of the sacred trees that grew in the village squares. Its leaves were also useful. Ashcakes, hoecakes that were cooked in the wood coals of the hearth, were wrapped in wet corn shucks, cabbage leaves or the leaves of the tulip poplar. Using the hoecake batter, form the ashcake into a large patty. Wrap each cake in two leaves, top and bottom, making sure the leaves are securely covering each patty. When cooking in a hearth, make sure both the bottom and top are covered in hot ashes. Bake each ashcake for about 15 minutes each. Whats up? So this is like the tamal aka tamales wrapped in banana leaves?